Squid, octopus and cuttlefish populations are booming across the world. These fast-growing, adaptable creatures are perfectly equipped to exploit the gaps left by extreme climate changes and overfishing, according to a study colleagues and I published in the journal Current Biology. Humans have reached and in many cases surpassed sustainable fishing limits, as our growing population demands more food. In terms of the food web, we tend to start from the top and fish “downwards”. Fishermen fish out the top predators first, including large sharks, tuna and whales, and then medium size fish such as cod, hake and halibut that usually live long and grow slowly. The vacant space left by fish may be occupied by other species, with rapidly proliferating animals having a clear advantage. And these animals are cephalopods. Squid, octopus and cuttlefish live in the “fast lane”, growing quickly and typically living for only one or two years. They produce lots of eggs, and their eggs have relatively low mortality rates, whether thanks to patient brooding by an octopus mother or the protective mucous that covers embryonic squid. These traits enable cephalopods to adapt rapidly to changes in the environment which have become even more pronounced in recent decades thanks to human activity. These are elusive creatures, notoriously difficult to count. To get a better estimate of their overall abundance, we looked at what we call catch rates – how many were caught per vessel per unit of time – over the past six decades. We used an extensive dataset of 35 different species (52% squid, 31% octopus and 17% cuttlefish) from all major oceanic regions. Most were “target” species deliberately sought by fishermen, others were non-target or bycatch species. We used data from both regular commercial fisheries and specific research surveys. Everywhere we looked we found a substantial and statistically significant increase. Bottom-dwelling octopus and cuttlefish who live relatively static lives are thriving, as are squid that hover over the bottom, along with those in the open ocean that may travel thousands of kilometres from spawning to feeding sites. 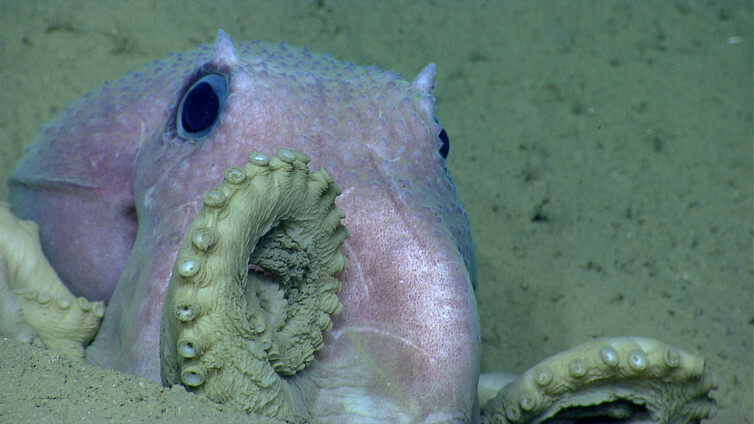 At a time when life in the oceans is threatened, cephalopods seem able to buck the trend. The “jumbo squid” represents one of the most striking examples. 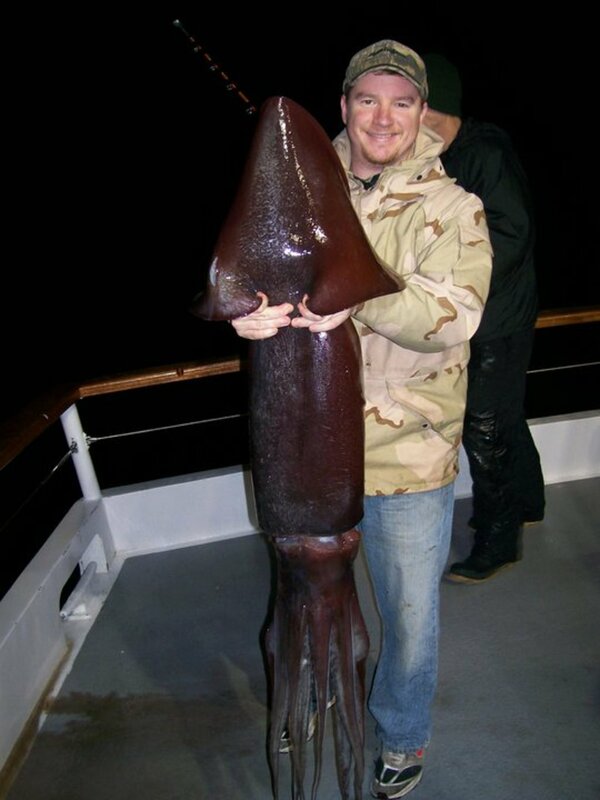 Also known as the Humboldt squid, it typically weighs around 1-2 kg and has an annual life cycle. It lives in the warm waters of the eastern Pacific and has supported small-scale fishing in Mexico, Chile and Peru. However, a strong hot season of El Niño followed by a cold season of La Niña can do funny things to these squid. The colder waters during a La Niña delay their maturation and allow them to survive into the next year, giving them a two-year life cycle. But during this second year they continue to grow fast meaning that by the end of their two years they attain much larger sizes. In fact, these climate events have triggered the establishment of large bi-annual groups of squid weighing 25-40 kg – ten times their normal size. After the El Niño/La-Niña events of 1997-2000 these squid began to make their way up the Pacific coast to northern California reaching Alaska, leading to the recent development of one of the world’s largest squid fisheries. The total annual catch of 600,000 to 1m tonnes has become extremely important for coastal livelihoods of eastern Pacific countries. However, as the jumbo squid’s “switch” from one to two year life cycles depends on ambient water temperature, another strong El Niño event may cause almost complete disappearance of the large group, returning the populations to their “normal condition” as a medium size annual breeder. This has happened recently in Mexico’s Gulf of California causing havoc to local squid fisheries, and it may also happen in Peru and Chile, another region where a strong El-Niño event is currently occurring. The boom in squid, octopus and cuttlefish will have interesting consequences both for their own ecosystem and for human society. On the one hand, it could benefit the sharks, whales and large fish which are reliant on them for food, along with certain fishermen. However, cephalopod populations are much less stable than fish with longer lives. Usually they follow a “boom and bust” strategy, varying in biomass by several orders of magnitude from year to year, changes that are notoriously difficult to predict. Fishing profits can vary hugely in line with fluctuating populations, and high conservation and economic risks are often exacerbated by the relative lack of co-operation and communication among industry participants. As fisheries continue to refocus their efforts towards cephalopods, it becomes critically important to manage stocks appropriately so they do not face the same fate as many fish in the recent past. These creatures are so intelligent, we are lucky they die after mating otherwise they would have taken over.